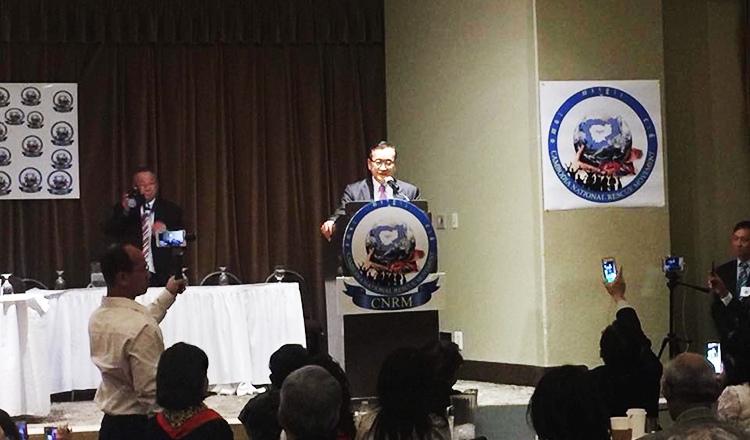 The former CNRP opposition and fugitive self-exiled politician Sam Rainsy tried their best to scuttle Cambodia’s sixth general election and failed miserably. They huffed and puffed, pounded their chests, cajoled and wooed certain foreign journalists to take on their case and ran amok on social media. But to no avail. Their “clean fingers” campaign urging Cambodians to boycott the polls just fell flat on their faces. When the polls finally closed at 3:00 PM Cambodian time yesterday, the voter turnout spoke for itself. Out of the 8,380,217 registered voters, a whopping 6,885,729 of them came out to cast their ballots, registering an 82.17 percent voter turnout ratio. Although in real terms the voter turnout did not differ much from the 2013 general election which had a higher number of registered voters, the fact that they defied all odds and even the vagaries of the weather to come out and cast their ballots, augurs well for Cambodian democracy. As counting of the ballots progresses in polling stations nationwide, seat allocations have yet to be decided and the eventual winner may not be known at press time. The voter turnout, however, signifies that Cambodians value their rights and have probably learned a thing or two about past opposition leaders who campaigned hard for their votes, at times with incredibly ridiculous and unsustainable populist polices, and often frothing at their mouths with xenophobic rhetoric akin to the far right in the US and Europe. The indomitable spirit of the Cambodian people won the day. Cambodians rose up from the ashes of the genocidal regime, endured immense hardships and now have told themselves that they want democracy to work in the spirit of the 1991 Paris Peace Accords. They have made it clear that parliamentarians are meant to debate people’s issues in the August house – the National Assembly –and not on the streets. That realisation may have finally come through and with 20 parties contesting the election, with no reports of violence on polling day and the 21-day election campaign, it clearly shows the maturity and wisdom of the Cambodian people. The 20 political parties fought it out in the hustings, not through guns, grenades and goons or anything remotely related to it but through campaigns and rallies – from traditional methods to innovative techniques using social media and voice messages and personalised video recordings to reach out to the masses to win their hearts and minds and more importantly to win their votes. 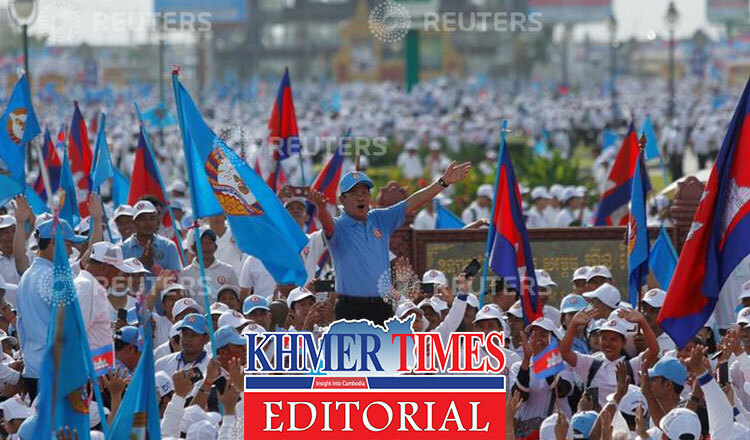 Many of the 19 parties contesting against the ruling Cambodian People’s Party (CPP), clearly had the former three million voters who had cast their ballot for the former opposition CNRP in mind. They all had the intention of championing the needs of the former opposition supporters to be the “anointed” successor. But the former CNRP politicians had selfish interests at heart and refused to endorse any of the opposition parties to give their former supporters a choice. Instead, they chose to lead them astray – rudderless to wallow in self-pity and be mired in a political quagmire. It’s this irresponsible behaviour that saw the former CNRP boycott the National Assembly for over a year after the 2013 election, letting down the almost three million Cambodians who voted for them. Once bitten, twice shy, and this time around the Cambodian people have become wiser and have refused to be led down the garden path. Also the barrage of vitriolic news and so-called “expose” stories emanating from foreign news sources have failed to sway the views of Cambodians. These journalists can rant and rave that Cambodia is a dictatorial state, overlooking the fact that most of them have entered the country on tourist visas to cover the elections. Even a top representative from Human Rights Watch – a staunch critic of Prime Minister Hun Sen for years on end – managed to enter Cambodia to “monitor” the election without being denied entry by immigration. So is the government a monster as they claim in their articles? The election to form the 6th mandate of the National Assembly this year is a brand new ball game as far as the legislature is concerned. Be sworn in or automatically lose your seats is the rule – so that there can be no repeat of the National Assembly “boycott” sideshow that was staged by former CNRP in 2013. With this, the ball is squarely at the feet of the 125 members of parliament.Hopefully the National Assembly will see members from several parties taking their seats to give true meaning to the proportionate representation system of the country’s legislature. One can only hope and pray that they will be matured, responsible and vocal in fighting for the rights of the people rather than trying to stab each other in the back in a game of political brinkmanship. This also applies to the victors. In this 6th mandate, Cambodians will hold their elected representatives to a higher degree of accountability and responsibility and expect them to deliver on their campaign promises. The elected representatives are of the people, by the people and for the people. If they fail to deliver, they will be shipped out five years from now.